Following the continued success of the CMA Songwriters Series show in London during C2C Festival and last year’s debut tour, the CMA Songwriters Series returns to the UK with a night fixed for Manchester’s RNCM. Hosted by Chris DeStafano, the night will also feature Kassi Ashton, Ashley Campbell and Tenille Townes. The format of the evening sees the songwriters performing together on stage, taking turns and sharing stories before performing their song acoustically. The two-hour seated show will come to Manchester on the fourth night a five-date UK tour. CMA Songwriters Series has a track record of launching new artists through its intimate storytelling format, which allows audiences to get to know the artists, their journey and the stories behind their songs. The announcement comes as a new in the round-style night, Get A Round In, launches at the Patron in Manchester’s Northern Quarter every first and third Wednesday of the month. 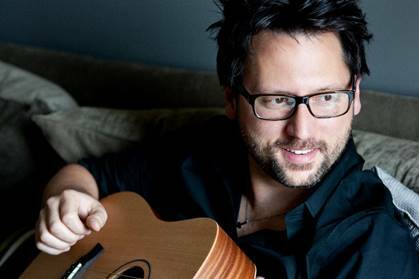 Who will perform at the CMA Songwriters Series? 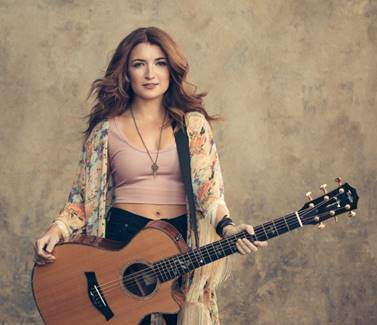 Kassi Ashton is one of Nashville’s most compelling rising stars. 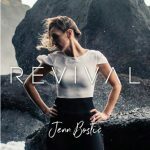 Signed to UMG Nashville in conjunction with Interscope Records, the California, Missouri singer/songwriter has been making a name for herself thanks to her authentic songwriting and soulful, rich voice. Ashton recently released her auto-biographical song California, Missouri, where she paints an unconventional portrait of life growing up in her small town. Following in the footsteps of a famous parent is never an easy path, and Campbell, the daughter of music legend Glen Campbell, initially pursued dance and acting. But when Campbell was asked to learn banjo for a part in a play, a spark was lit and her calling was found. Soon Campbell was studying with banjo luminary Carl Jackson (her godfather and longtime member of Glen’s band) and mastering her technique. She would go on to join her father’s touring band, including his poignant Goodbye Tour in 2011-12, and appear in the award-winning 2015 documentary “Glen Campbell: I’ll Be Me.” The family affair continues with the release of her debut album The Lonely One, which was co-produced by Campbell and her brother Cal Campbell. Campbell’s older brother Shannon Campbell contributes vocals and guitar in addition to having co-written the track Looks Like Time with her. 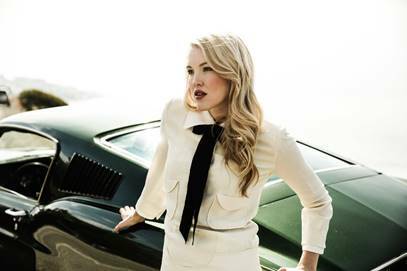 Ashley Campbell performed earlier this year at Manchester’s Deaf Institute. Chris DeStefano is a Grammy award-winning American singer/songwriter, record producer and multi-instrumentalist. The prolific songwriter has had multiple No. 1 songs with artists Carrie Underwood (Good Girl, Little Toy Guns), Billy Currington (Hey Girl), Brett Eldredge (Don’t Ya, which he also produced), Miranda Lambert & Carrie Underwood (Somethin’ Bad, later reworked as the opening theme for NBC’s “Sunday Night Football”), and Jason Aldean (Just Gettin’ Started). Underwood’s Good Girl, which DeStefano co-wrote, reached No. 1 on Billboard’s Hot Country Songs chart in 2012. He also co-wrote Underwood’s seven-week No. 1 song Something in the Water. DeStefano and American songwriter Josh Osborne co-wrote Australian singer Morgan Evan’s current single Kiss Somebody, which won Country Work of the Year at the APRA Music Awards in 2018. 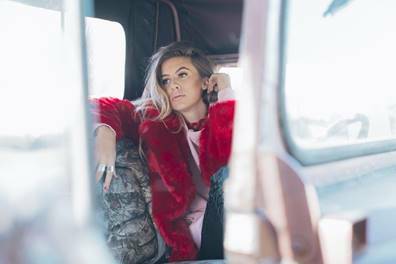 Working on her debut LP with Jay Joyce, Tenille Townes started her journey to becoming one of Country’s most promising new artists back in rural Canada, in the backseat of a car. Once settled in Nashville, Townes spent her days songwriting and her nights at guitar pulls or at the Bluebird Cafe, studying everything she could. Eventually, she scored a publishing deal with Big Yellow Dog and headed into the studio with Joyce. Together, they tapped into her organic nature and her sheer ability to tell a story and emote it through the visceral range of her vocals – tender, bluesy, wise and full of wonder but never naive. When does the CMA Songwriters Series come to Manchester’s RNCM? When do tickets for the CMA Songwriters Series tour go on sale? Tickets go on sale on Friday 3 August 2018.